Finally, after months of waiting, the trailer and the title for the new Star Wars movie has dropped. 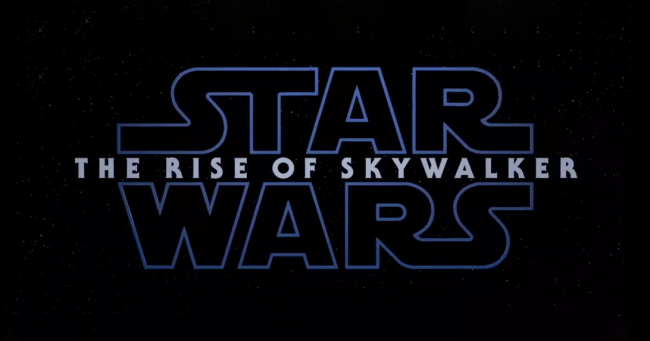 Episode IX: The Rise of Skywalker. As a title, this isn’t one I think I could have predicted, the thing that shocked me even more than the title itself though was the general reaction to the trailer online; which was wholly positive. One of the last times I spoke about the Star Wars movies in any great length, it was unfortunately a piece to lambaste the fan base for their utterly pathetic backlash in response to The Last Jedi, and their targeting of particular people they (incorrectly) deemed responsible for their displeasure. Not liking a movie if fine, acting as though they had a right to do the things that were happening is not.